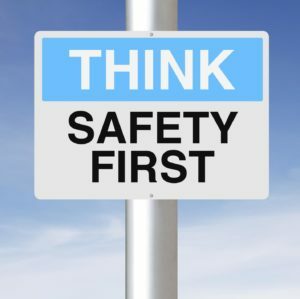 Corporate compliance training is an essential part of your risk management and regulatory requirements. 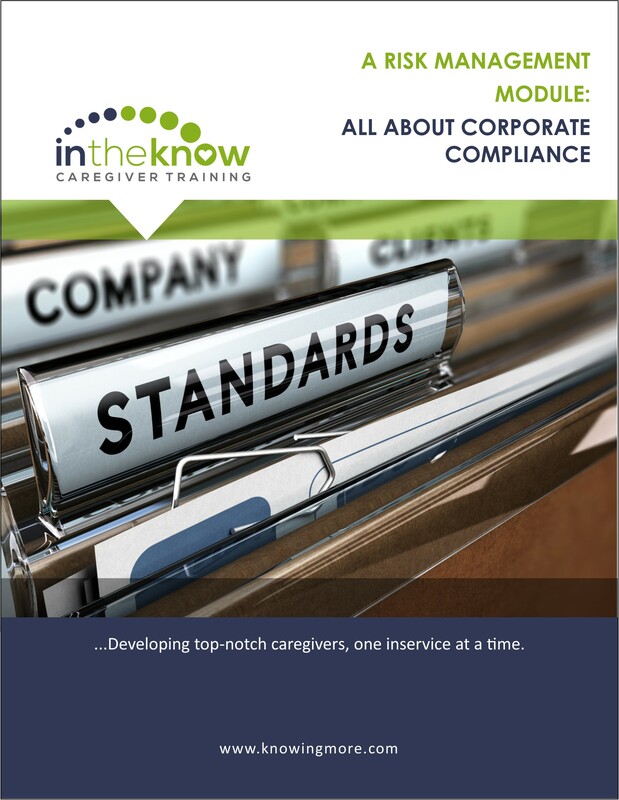 This course provides an overview of corporate compliance that guides caregivers through the process of recognizing, avoiding, and reporting fraud, waste, and abuse. Define fraud, waste, and abuse as it relates to a healthcare organization. Discuss the purpose of anti-fraud laws like the False Claims Act. Name at least three required parts of a Corporate Compliance Program. Explain what it means to be a whistleblower in relation to health care fraud, waste, and abuse. List at least two ways to report suspicions of financial fraud in the healthcare workplace. 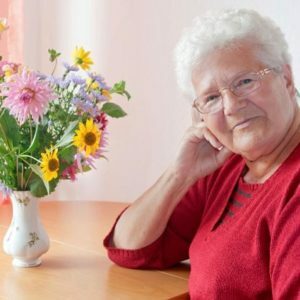 Are you looking for mobile-friendly online training for your caregivers? With In the Know On the Go, you’ll gain access to 100+ e-learning modules, have the ability to create a customized training program for each employee, track completion, message your staff, print records, and more. This course explains the importance of OSHA in the healthcare workplace. 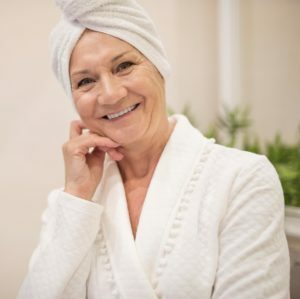 This inservice reviews alternative approaches to bathing–including how to create a bathing routine that is client-centered and aggreable to clients and caregivers alike! 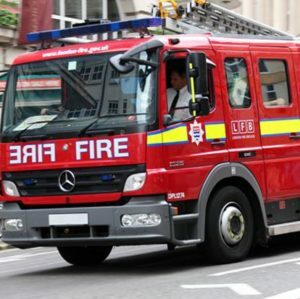 This course includes important information about fire safety–whether caregivers work in a facility or in a client’s home. 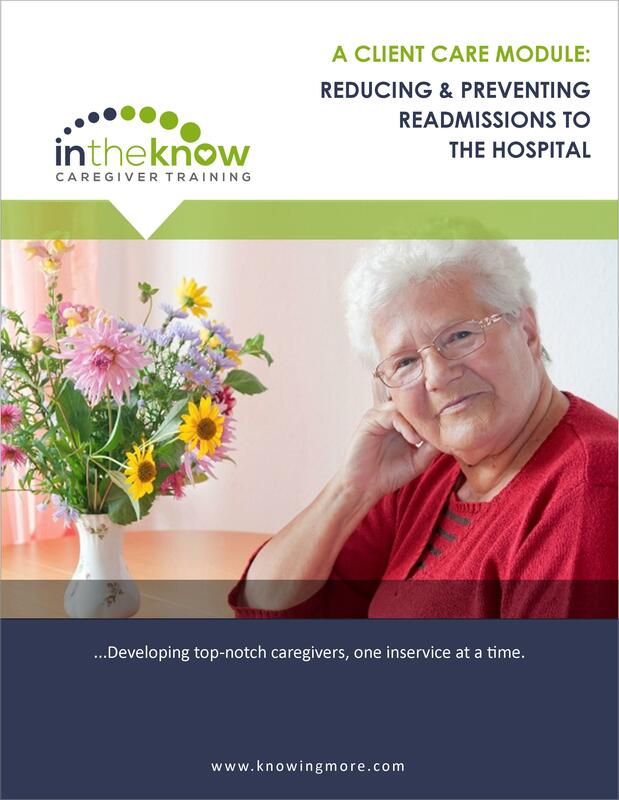 This course helps caregivers understand their role in reducing and preventing readmissions to the hospital. 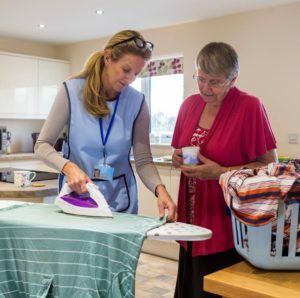 This course provides an overview of IADLs including housework, meal preparation, understanding prescribed medications, shopping, telephone use and transportation. This course provides an overview of bathing, oral hygiene, toileting, dressing, grooming, eating and transferring. We'll keep you updated on the latest and greatest in caregiver training and resources. It's our mission to prepare your Caregivers to deliver the highest quality of care to your clients—leaving you with more time to grow your business! Want to see the full learning platform functionality? Request a free demo of our LMS. "In the Know has been so very good for my aides and it saves so much time for myself and the aides..."
Our customer consultant may reach out to you to offer additional information if you'd like to know more. A quote for online caregiver training. Scheduling a demo of online training. More information about ITK's Blended Learning Plan. I'm satisfied with my current training solution. I’m satisfied with my current training solution. 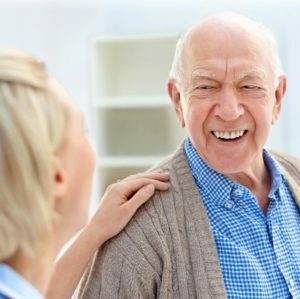 "Reducing & Preventing Readmissions to the Hospital"